Chiropractic care focuses on treating the musculoskeletal system and the nervous system. It addresses back pain, neck pain, joint pain as well as pain in the extremities (arms and legs). The most common procedures that are used are spinal and joint manipulations, also known as adjustments. These procedures are used to restore joint mobility by using the Chiropractor’s hands and fingers or a small instrument to move joints and bones into proper motion, position, and alignment. Often problems occur in the spine and joints of the body as a result of stress. This can be when you lift something the wrong way or have a job with repetitive movements. Additionally, when you bend the wrong way or sit incorrectly for long periods of time this can cause problems in your joints and surrounding tissues. Car accidents and sports injuries also cause injuries that result in joint injury, swelling, and fixation As a result of these physical stresses, the tissues in and around joints becomes inflamed leading to swelling and pain. Spinal manipulation therapy restores the movement to the joints and bones, effectively opening up space and taking pressure off sensitive structures. When you go for an exam the chiropractor will give you a physical exam and assess joint motion and position in your body. A properly trained chiropractor will look at posture, movement, and function to determine the cause of your pain or problem before beginning treatment. The doctor will determine where your body needs alignment and better range of motion. 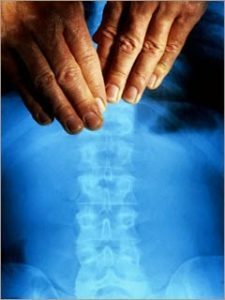 The top chiropractic offices use ever-advancing technology such as digital x-ray, computerized posture analysis, dynamic gait scanning study, in combination with finely tuned palpation skills and orthopedic tests to assess you joints. Once the initial examination is complete the doctor will determine which joint manipulation treatments, therapeutic exercises, diet, and lifestyle changes are needed..
Joint manipulation involves using the Chiropractor’s hands or sometimes a small instrument to move the joints into better position. They are expertly trained to rapidly move the joints in specific directions, improving motion and opening space to alleviate pain. It sometimes leads to a popping or cracking sound, which is harmless gas bubbles releasing from the joint fluid. Spinal manipulation therapy unlocks stiff joint segments, calms muscle spasms, and stimulates the mechanoreceptors (joint motion sensors) that signal the brain. This reduces the pain in the joints and gives you better balance, through improved feedback from the brain. Those that experience joint manipulation report greater energy and less pain, and feel ready to tackle the tasks of the day. Joint manipulation often provides more rapid pain relief than other therapy methods. Joint manipulation can assist with repetitive and posture injuries from standing or sitting in one spot for long periods of time. Often car accidents cause neck and back pain from muscle strains, torn ligaments, and jammed, stressed joints that joint manipulation can help. Athletes that get sports injuries from training or trauma often find this treatment very helpful. Doctors of Chiropractic are the accepted experts at spinal and extra-spinal joint manipulation. No healing specialty has more training and competency to be able to answer your questions and deliver this beneficial treatment in a safe, professional, and comfortable way. To learn more about joint manipulation, visit your Top-Rated Bozeman Chiropractic Clinic at Pro Chiropractic today. Dr. Jonathan Wilhelm, the author of this blog post the founder of Pro Chiropractic, is a board-certified chiropractic physician and holds a master’s degree in Sports Science and Rehabilitation.